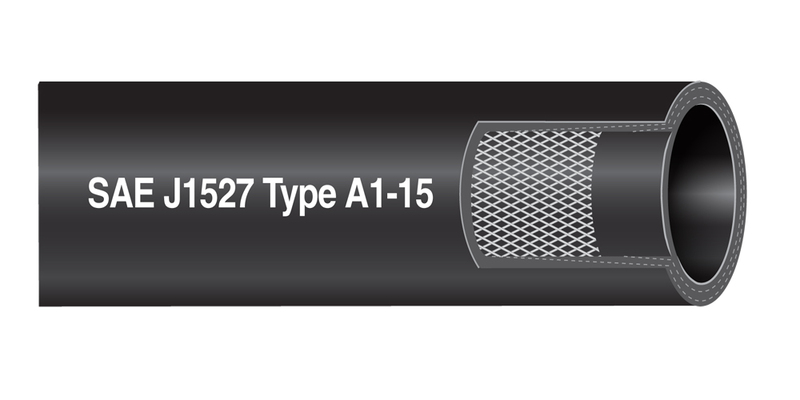 NEW - Low permeation marine fuel hose has a plastic barrier veneer with an NBR outer layer tube to limit permeation. This polyester reinforced hose complies with EPA and CARB very low permeation requirements and is weather/UV resistant. This hose is primarily used for fuel feed (gasoline up to 85% ethanol blended fuels/diesel/all bio-diesel blends). It meets USCG Type A1 ‰ÛÒ 15 requirements for pleasure boats and meets SAE J1527 Type A1-15, ISO 7840 Type A1, and NMMA/CE type accepted standards. The temperature ranges from -20å¡F to 212å¡F.